The answer, or at least what I predict to be the answer, was given somewhat offhandedly during a Q&A after the film with Baumbach and Paltrow, during which the two mentioned “getting dinner with Brian.” The film does feel like it spawned from what we can imagine these conversations were like, two up-and-comers interrogating the wise old master. But outside of Baumbach and Paltrow’s personal relationship with, and clear enthusiasm for, their subject, the film’s remarkable construction works, and I imagine came about, because of De Palma. Just a few minutes into the movie, after having seen a montage of some of the most adrenaline-filled moments of blood-and-guts violence and tawdry promiscuity in the De Palma canon, one might expect the man responsible to be of a more juvenile, high-strung nature. Instead, De Palma immediately comes off as remarkably even-tempered, well humored, and affably human. One is led to wonder: how is this the man who made that? The film never outright asks that question as a more conventionally structured documentary might; in fact, it never even comes close to answering it. Instead, Baumbach and Paltrow set out to observe without reticence, and the division between the artist and his work becomes the subject of the movie, not the theme. De Palma makes the figure of the movie director, raised by theorists to the status of an all-powerful god, seem like just another cog in the impossible process of making a movie. We see how impossible his career—or, as he tells us somewhere deep into the movie, any film career—was, how lucky he’s been, and how little agency he seems to have had on all matters outside of the one factor of an artist’s work that can’t be predetermined or even quantified: style. De Palma’s power as one of cinema’s preeminent stylists seems to have been present from day one. No matter what the conditions, from his 16mm black and white short films made while a student at Columbia to his massive Hollywood productions like Mission: Impossible, there is something there that ties them all together and forever stamps them with the unmistakable De Palma branding. The influence of Hitchcock, another such stylist, cannot be understated. Sounds from Vertigo’s first scene underscore the opening title (DE PALMA in massive block text crawling across the screen à la Gone With The Wind) before any of the movie is underway. We can imagine that these sounds too existed in the inner labyrinth of De Palma’s mind, indeed obsessively so, before any films of his own creation took their place. Baumbach and Paltrow have done nothing less than reinvent their well-worn genre—this is an exploration of an artist and their work that, rather than asking to separate the two, conveys such a deep understanding of the them both that they become finally inseparable. Such an invaluable resource for students of cinema is only possible because of the very artform which it is analysing. 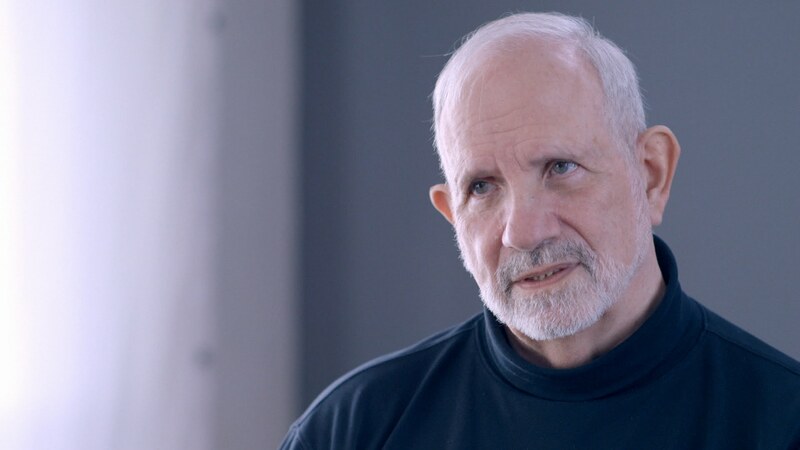 De Palma’s films, at least clips and scenes from them, do not lose any of their effectiveness because they exist in front of us, in this documentary, just as we would see them otherwise—in a cinema. It’s like gawking at Whistler’s Mother in the Mussée D’Orsay while Whistler himself stands over your shoulder and talks to you about it. Truffaut’s 1966 book Hitchcock is something of predecessor to De Palma: a director talking about another director, presented almost exclusively through interviews and some stills to illustrate the films being talked about. But Baumbach and Paltrow are able to take the form a step further by showing us the films themselves, skipping obtrusive summary and maintaining the kind of first-person excitement of actually watching the films while studying them in parallel. The idea of cutting between just the movies and the movie maker is effective in its simplicity. This effective simplicity drives the entirety of Baumbach and Paltrow’s discipline, an attempt to keep the discourse as free of intrusive sentiment or cinephilic favoritism as possible. I expect a number of similarly fashioned filmmaker documentaries to follow, and the model set forth here, combined with the long list of still-living great directors, makes such a prospect well worth looking forward to. Click here to read Jackson Arn’s review of De Palma. The 53rd New York Film Festival ran from September 25 to October 11 at the Film Society of Lincoln Center. Written by: Matthew Rivera on October 13, 2015.